Beautiful and spacious condo in the heart of north Scottsdale. Condo is beautifully furnished. Can sleep up to six. Granite countertops, Stainless steel appliance and beautiful tile throughout. 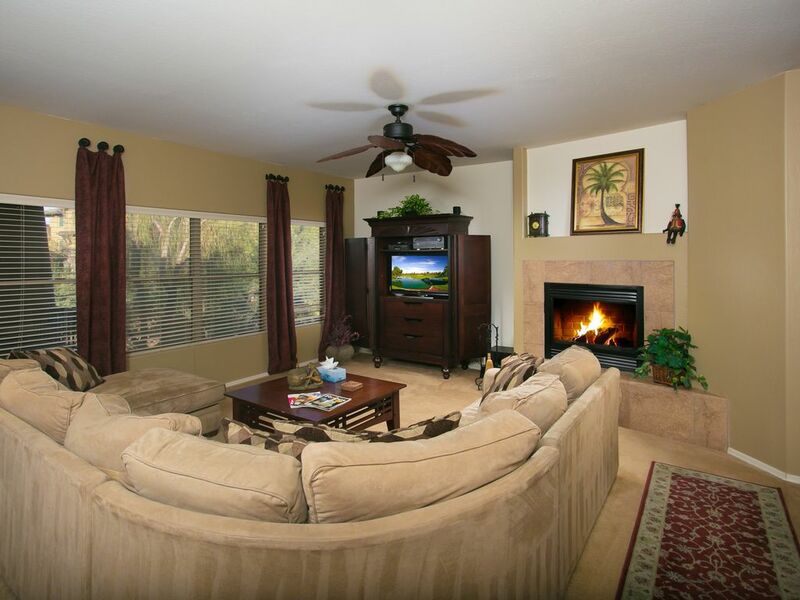 Close to golfing, great restaurants and the great amenities that Scottsdale has to offer . Great access to all Phoenix area activities: Spring Training, Phoenix Open, Super Bowl, Arabian Horse Shoe and Scottsdale Rodeo. Community pool and workout facilities. Great location - nicely appointed condo! After my husband's cancer diagnosis we made the decision to move to Phoenix for the duration of his 7 week treatment. Finding this condo was everything! It is comfortable, nicely furnished and only a few miles from Mayo. There is a grocery store, drugstore, several restaurants, shopping and even a doggie day care close by. The owners were responsive and so very helpful. I wish we could have stayed there for a vacation instead of for medical reasons but it was a wonderful "home away from home" for us during a difficult time. Beautiful and relaxing with great location! My wife and I rented this wonderful condo as a place to recuperate after undergoing a kidney transplant at Mayo Clinic. My wife was my donor!! But that is another story. Kim and her husband were very gracious and accommodating. The condo is stylishly decorated and the balcony is a great place to enjoy your morning coffee. Everything you need is there, from dishes to utensils; laundry room to ironing board/iron. Full and efficient kitchen. We spent almost 6 weeks there and it quickly became one of our favorite places to stay! Can't recommend it more highly...if you get a chance, stay here! Close to Phoenix Open, Arabian Horse Show, Top ranked golf courses Grayhawk, TPC, High end shopping at Kierland and North Scottsdale. Beautifully decorated condos with sunrises over the McDowell Mountains from the front porch and beautiful sunsets to the west from the back patio. Master bedroom has a King size bed with large master bath suite, both a soaking tub and shower, dual sinks and large walk in closet. Second bedroom has a queen bed with walk in closet. There is also a den that has very comfortable pull out sofa bed. The den has a work space and internet access. Large living area with large comfortable sectional sofa, surround sound stereo and gas fireplace. Over 1,700 square feet of living room, to allow everyone their own space.